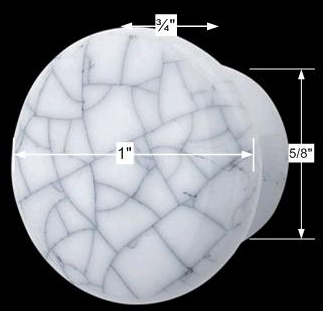 This 1 inch porcelain crazed knob has a gray tint to it. It projects 3/4 in. and has a 5/8 in. diameter of the back. Overall measures 3/4 inch diameter. Give a quick change to your rooms in a quirky way. 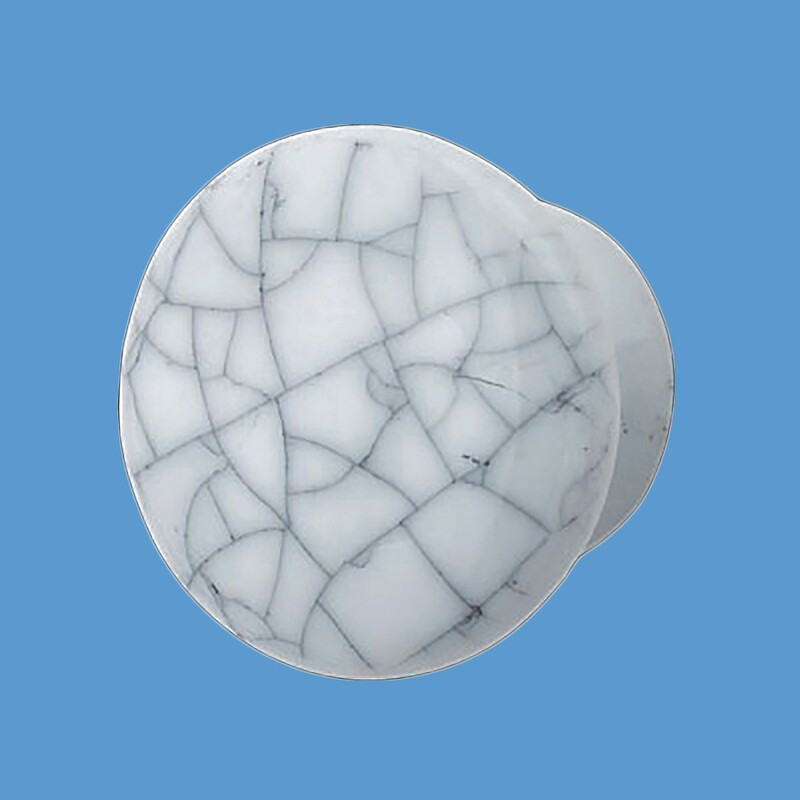 With a classic touch and whimsy design, this beautifully crazed grayish porcelain cabinet knob offers right style to transcend your kitchen or any room and reflect your style. Crafted from finest quality porcelain and stands for durability. Shop this exquisitely finished cabinet knob here. This design gives your room a whole new look. 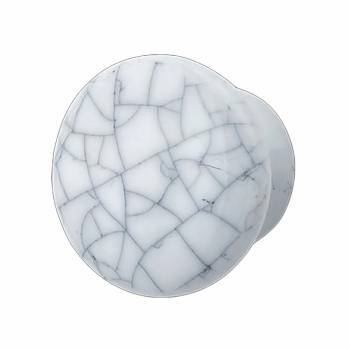 The grayish crazed knob adds luxury and sophistication to your room. Want to get a noticeable change to your remodeled project or room? Install this hardware today. Features mounting screws.